How to Support/ Promote the Equal Money System? Bastian wrote: I am questioning the approach, if it wouldn’t be smarter, to create petitions, get into contact with those in power and convince them, start small projects to demonstrate the power of an equal money system, convince them, think of ever new ways to get into contact with those, who actually can ‘implement’ such a system today and how to get their awareness, start campaigns on the street, thinking of ever easier ways to demonstrate the power and importance to change the root cause and problem of our current system. 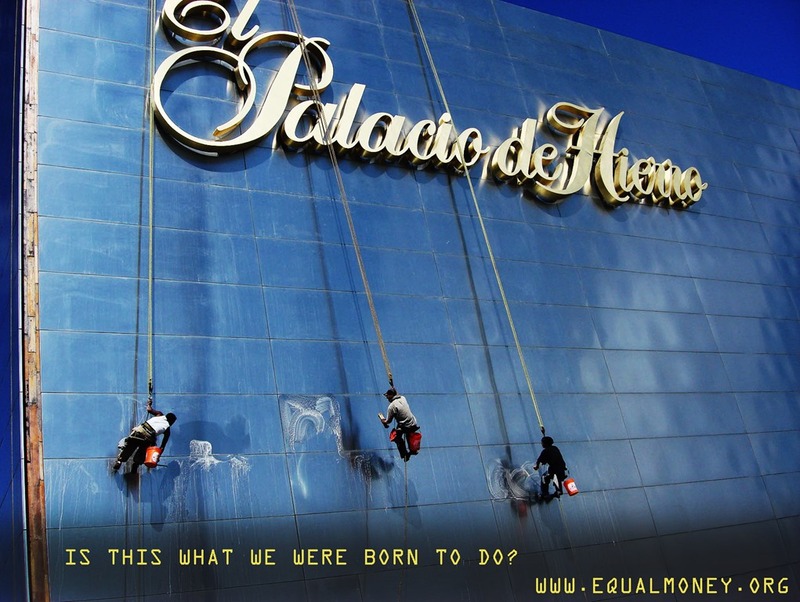 ‘Children of the world’ need an ‘equal opportunity’ to unfold their full potential. And this CAN be done! What is required is our VOTE for a basic income to meet their basic needs. 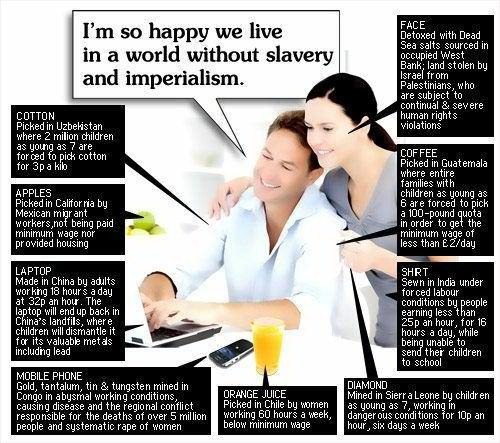 We live in one social-economical-system and every one of us is dependent on the ‘money’ we use every day for trading our ‘goods and services’ and without the ‘integration of the children’ of this world into our ‘trading system’ they get no chance to contribute to our world. It’s our choice, our power, our VOTE, our demand! In practical terms I see, that the ‘current power structures’ in the world, who make the ‘laws for money distribution’ are the ‘political institutions’ and that the most immediate ‘global change’ >COULD< come (I don’t believe it at all) from those individuals currently in power situations, where they are ‘suggesting’ and ‘voting’ on ‘new laws for the money distribution’ and ‘the way money is used today. This can be to a certain extent so, for example when looking at solutions like the Basic Income Grant, we can see that there are political parties that are supporting it already – however as we know, it is only a temporary solution/ plan to support everyone to at least have the basics to live. Though as long as there exists Money as power in the way of laws/ regulations that are supposed to care for all in Equality, we will continue living within the same old system of voting for an apparent ‘change’ in how that money can be distributed. 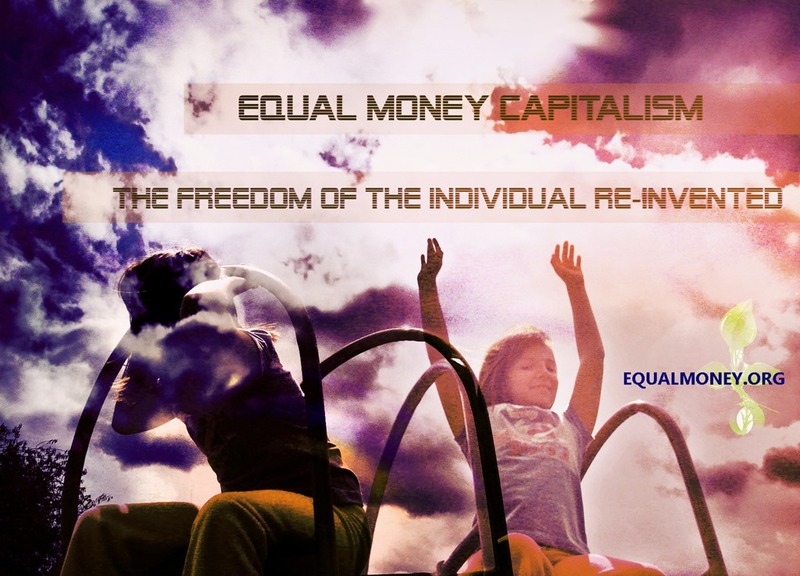 If the entire monetary system is not reformed from its starting point and how it currently exists, it will most likely be futile trying to/ attempting to create a change without considering that the solution must be created from scratch as an entire new system where money is no longer based on debt, but only becomes an accounting tool to ensure all is Equally supported. 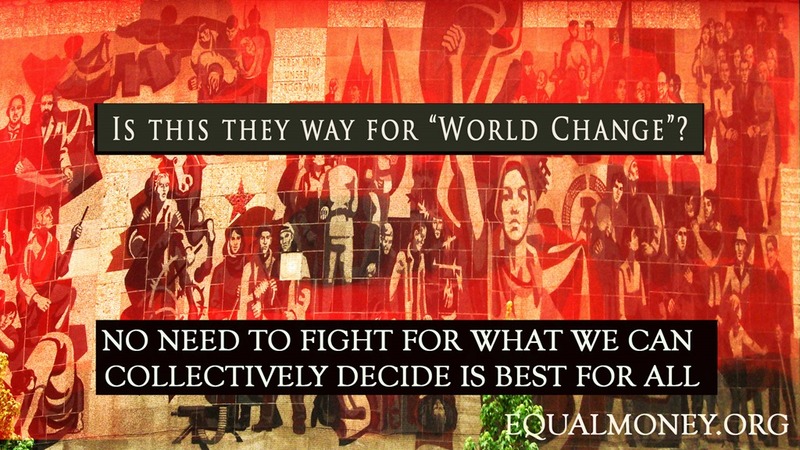 Hence the change will have to come from us supporting and endorsing the Equal Money System as the way to create an entire new way of living/ coexisting in this world, with money no longer being a point of control and power, but simple management to distribute the necessary goods/ services to all beings in this world. What I see is, that we need two things, one is the awareness of the public, by making the importance clear and the change attractive for more supporters. See, the starting point of the Equal Money System is implementing a Living Principle which is Life in Equality, this is essentially how it ‘should have been’ since the beginning. Hence we don’t have to convince anyone of ‘why’ Equality is what’s Best for All, because that is part of each one’s process of Self Realization in relation to becoming Aware of how we are existing in this world, how by simply existing HERE we are equally responsible in this world which makes us the key to create a transformation in the system if we see that it is not working for all in equal terms. 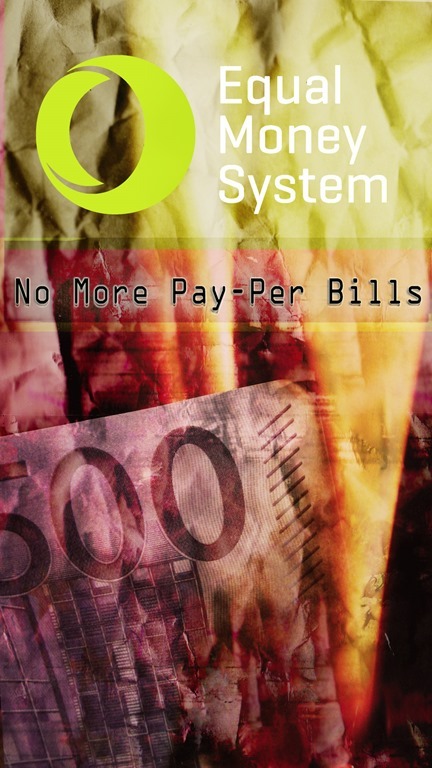 You will notice that, as this current system collapses, more people will start looking for options in relation to an alternative system, a new system that could cover people’s basic needs – that’s how we have now points like the Basic Income Grant which we support as it creates a basic awareness on the requirement to support each other as Equals. That plan is not yet ‘here’ because we cannot scheme such points with precision while we are still walking our own individual processes of learning How to live as Equals, how to live As the principle of Equality, which implies understanding and practically applying the tools to live in Self Honesty which is the inevitable necessary step before we start considering on creating such plans that will be created in the appropriate moment in time. Understand the following: this is a process that has never been walked here on Earth, we are not a corporation trying to sell an ‘efficient plan’ that is sellable and attractive to people that are still only considering what is ‘best for them’ in a system where life has been monetized instead of regarded as Equal in all ways. 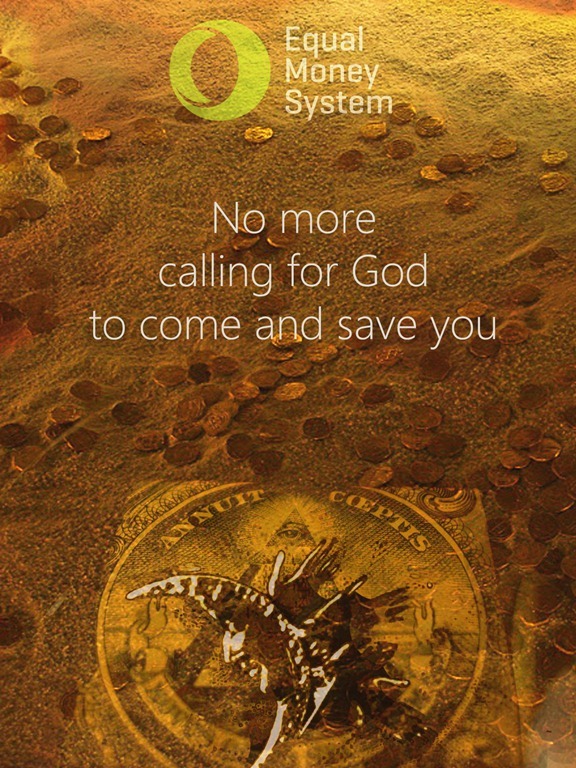 The ‘strongest real change’ will be each individual standing as the principle of Life in Equality here, as such individuals will then understand what is required to be done in order to implement this system and support others to do the same through an educational process, which anyone has access to currently as the platform of Self Support that Desteni is. That is capitalist thinking right there in italics, which is linked to how time = money in a system that runs/ is motivated by profit making. See how it is within that type of logic and thinking that we’ve accepted as ‘how things must be’ that we have to get back to common sense and debunk our own accepted and allowed ways of ‘how the system works’ and how one seek to get it all ‘done’ right away, just as we are now currently paying for products and consuming them without having an idea or consideration of all the processes behind its production. This is for example, beginning with the extraction of the necessary prime matter to produce them: who labors in that, how are they paid, how are the corporations then making use of such resources, who’s earning what, what is the rate of abuse and human violations in such activity? What does the price that I’m paying actually covering and who gets the most within such transaction? Within tracing one single chocolate bar through this processes until the moment when you finally pay for it, you would probably think twice in terms of how our desire for ‘efficient systems’ are currently based mostly on our negligence as humanity that accepts and allows exploitation and abuse as a form of ‘labor for the poor,’ just because of being quite comfortable with only ‘paying the price’ without being involved/ getting our hands dirty in looking at the actual processes behind the production of products and services that we use and sometimes only ‘indulge into’ without it being an actual basic need. When we start seeing how this world system works, we become aware of how the solution must be applied/ lived first within ourselves to understand our point of responsibility in how the world is currently functioning/ existing as. but if we get older and can’t convince anyone of these ideals, they will drop, for an idea is only as strong as the number of people demanding it. Another thing is, that there are many groups out there trying their utmost to demand change. But they are to far away from the current people in power, who could ‘suggest’ and ‘vote’ and ‘implement’ an equal money system today. Put it in place actually today! We as human beings have been the ones that have created an entire monetary system based on one’s own desires to be ‘powerful’ and ‘having it all,’ which has translated to the entire way that all relationships function in the system – whether economical, socially and politically speaking including our very own personal-relationships wherein we seek to get that ultimate fulfillment and desire accomplished for us to attain some form of ‘happiness’ and ‘well being’ without considering all the points that make such ‘dreams/ ideals’ possible. Within having these objectives and ‘desires’ existent in each individual, we’ve created a system wherein everyone is competing to ‘make it/ get it’ and in that, forgetting about anything that has to do with others and supporting others as equals. This is how we are living in a dog eat dog world wherein there are those that win and those that lose, those that ‘survive’ according to how well they are able to follow the rules and get the best skills in manipulating and deceiving to ‘get the most of the cake,’ and those that decide not to play the game and live as renegades of the system without having proper ways to support themselves. Both points are equally supporting a system of Inequality – we are all here and responsible for sustaining and supporting a system of abuse through the very existence of Money as it does in this world. We can’t look at convincing ‘those in power’ as they are well ingrained and also surviving from keeping their job that supports the current system that is in place. The solution must come from the realization that we have accepted and allowed the current system to exist the way it does, we are thus responsible for creating one that is best fro all. We understand that the Equal Money System won’t be placed and voted for overnight, this is a process and everyone that understands the imperative necessity for us to begin this process at an individual level, begins with themselves because there is no way that we can implement and advocate a solution without us having that point of Equalization as Ourselves. We would all want it to ‘get it done’ as soon as possible, but because it is a process and it must be walked as and within each individual as certain group, it takes time to create and establish a solid foundation of participants. Hence we will take the necessary time and that will mostly imply at least a decade to get the basics in place. Thus, what I suggest is for you to realize that we obviously would want all the atrocities in this world to be stopped right away, however we understand that all that we are currently facing is part of our manifested consequences accumulated through all the time that we disregarded the fact that: what is Here is ourselves and should be given equal access to within a political/ social and economical system = an all encompassing system based in one single principle: Life in Equality. I am questioning the approach, if it wouldn’t be smarter, to create petitions, get into contact with those in power and convince them, start small projects to demonstrate the power of an equal money system, convince them, think of ever new ways to get into contact with those, who actually can ‘implement’ such a system today and how to get their awareness, start campaigns on the street, thinking of ever easier ways to demonstrate the power and importance to change the root cause and problem of our current system. You can take that point for/as yourself and become an individual that supports the Equal Money System, you’re able to record yourself, write blogs and share them in the internet. Nowadays, we’re seeing how such public protests have no effect whatsoever to create a ‘change’ in the system. Once again, it’s not about ‘convincing’ someone but presenting common sense and sharing how it is able to be lived in congruence to one’s individual life, as those are the points that can be the proof/ example of how within living as and by a principle of Life in Equality, we are able to create a substantial difference in how we live/ interact with others which then will inevitably create a window of opportunity for others to see that they are also able to do it. 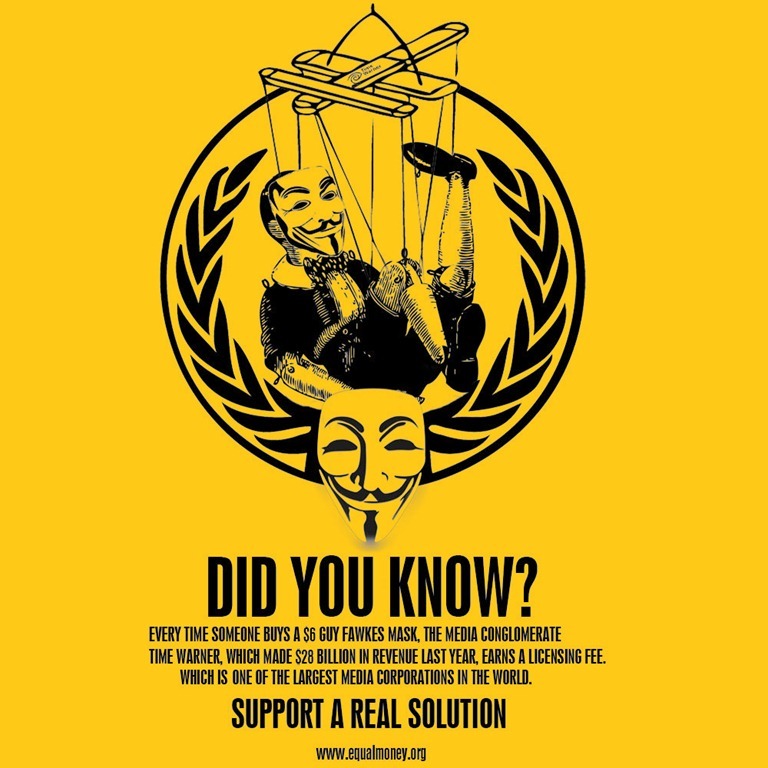 The more people are able to become aware of there being a solution in this world based on Life in Equality, the faster we’ll move and that’s why we do what we do as Desteni/ Equal Money System through social media and everywhere else we can in as well to develop a presence in each one’s reality. Thus YOU become that point that speaks up, you don’t require large groups = we move through the Internet where you join an already existent and established network that promotes Life in Equality at all levels. But we need to reach those in power or create power ourselves and what I see as most important of all things is the transparent truly practical realistic comprehensible ‘implementation plan of the equal money system’ which would speak for itself. This point I suggest discarding as it is implying that ‘those in power’ have to create a ‘change’ and it is not so, the Equal Money System is a set of individuals that will be and create the necessary transformations in the system through political means = this is not coming from your current political parties/ politicians. See how the description is not accurate in terms of people being highly influenced by knowledge to not understand what ‘Equality’ implies – hence the most basic common sense would have to be included in any form of Equal Money System propaganda as this is an educational process as well. Basically my question is, how are we going to establish and integrate this administration? How will we move from our current power and rule structures, which are followed by nearly 7,000,000,000 people to this administration which has to be trusted by all these people? Please read the latest update on Implementation of a global Equal Money System at the wiki and all its components on this subject. Thanks Bastian if you are willing to contribute, I’ve already explained how you can start today with vlogging/ blogging and becoming a practivist within the Equal Money System, which implies that You live by and apply the Equality principle as yourself in your reality. 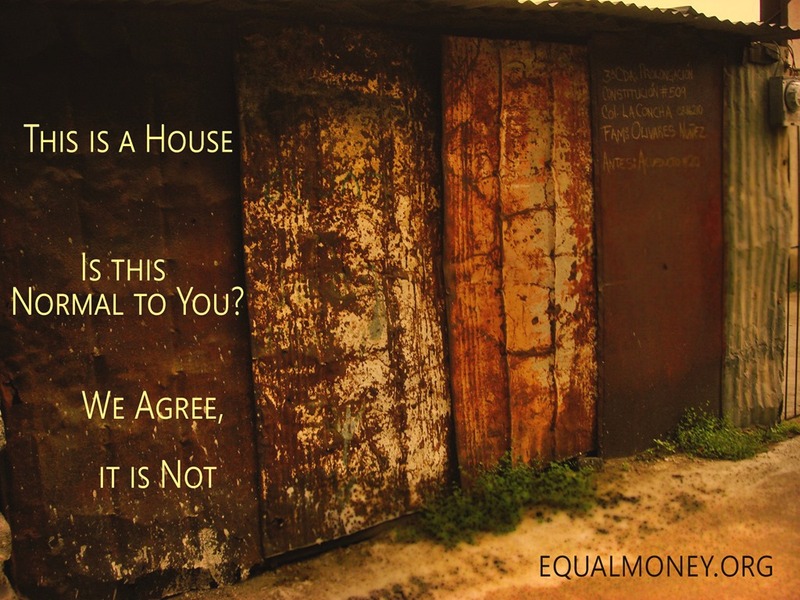 There is no other way that we can get to ‘grasp’ what Equal Money means if we don’t begin with looking at how it is required for each one of us to ‘Equalize’ ourselves as everything and everyone that is HERE. For this Desteni is the necessary step as the source of Education and Tools to support ourselves to live as Equal beings in this World. at the Equal Money System Forum where we can discuss practical ways to support the Equal Money System. And share your feedback/ insight and support at the various Facebook groups and communities supporting the Equal Money System. I am 1 Vote for World Equality !! 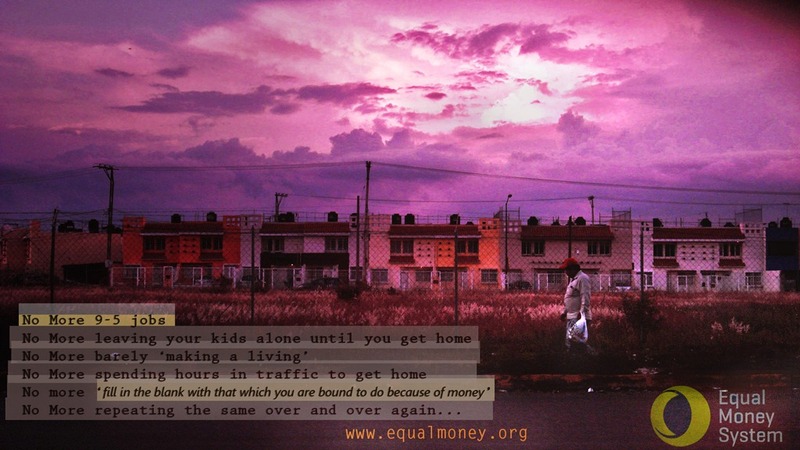 Money Revolution- Equal Money from Birth to Death – Value Life!! I am not afraid of EQUAL money!